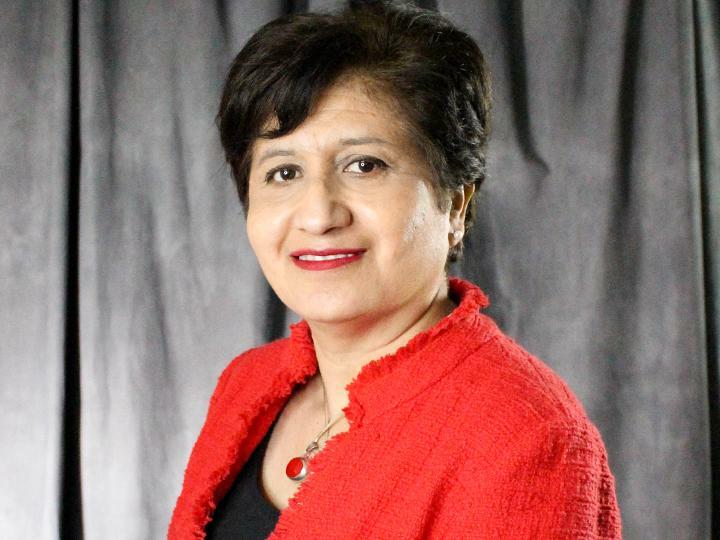 The United States Department of Agriculture (USDA) National Institute of Food and Agriculture has awarded UH health education professor Norma Olvera $297,385 to train the next generation of Hispanic obesity educators. It's a good pick. Olvera has spent decades working to reduce obesity-related diseases among underserved communities in Houston. "An increased prevalence of childhood obesity in the Hispanic population has resulted in a critical need for nutrition and health educators serving this population," said Olvera. "The focus of the project is consistent with the USDA's food safety, nutrition and health priority area to increase mentoring, recruitment and retention of undergraduate students into educational and experiential learning programs that promote proper nutrition." Olvera and her team members, Tracey Ledoux, associate professor of health and human performance, Consuelo Arbona, professor of counseling psychology, and Monica D. Thompson, executive director of University Career Services, will recruit 36 Hispanic and first-time-in-college students to become paid interns. To apply click here. "Our aim is to increase awareness of, preparation for and entry into community nutrition and public health careers among Hispanic undergraduate students," said Olvera, a veteran professor in the College of Education. For the three-year project, the interns will be recruited from three major Hispanic-serving institutions: UH, UH-Downtown and Houston Community College. When not researching or recruiting, Olvera might be found at a 5K race, alongside a chef at a cooking class or coordinating a healthy food-shopping demo, all activities played out as part of the UH BOUNCE program she created. BOUNCE is the perfect lively verb/acronym for Behavior Opportunities Uniting Nutrition, Counseling & Exercise aimed primarily at children. BOUNCE is an evidence-based and research-driven platform through which Olvera will offer the program's internships. Interns will participate in sessions on how to design, develop and evaluate community-based health programs, assist as facilitators and evaluators of the BOUNCE intervention objective, and be provided career and professional development training for community nutrition and public health careers. Students who complete the 15-week course will demonstrate increased entry-level community nutrition and public health programming knowledge and skills. "By the end of the 15-week internship, students will have formulated a career plan that identifies next steps to pursue employment and/or additional education in the field of community nutrition and public health," said Olvera. Through her work, Olvera has found that it is often the youngsters who make the difference in their communities, starting at home. "One of the reasons I created BOUNCE is that I noticed long ago that children were leading their parents in making changes in the home. The children who wanted to eat healthier or be more active would ask their parents to help them and that would prompt parents to make different choices," said Olvera. It was a natural fit, she said, to begin targeting more and more children with intervention and education. Now she's targeting them to become educators. "One person can create a ripple effect far beyond their family into the community when they share their knowledge and create programs designed to help young people make better choices," she said.